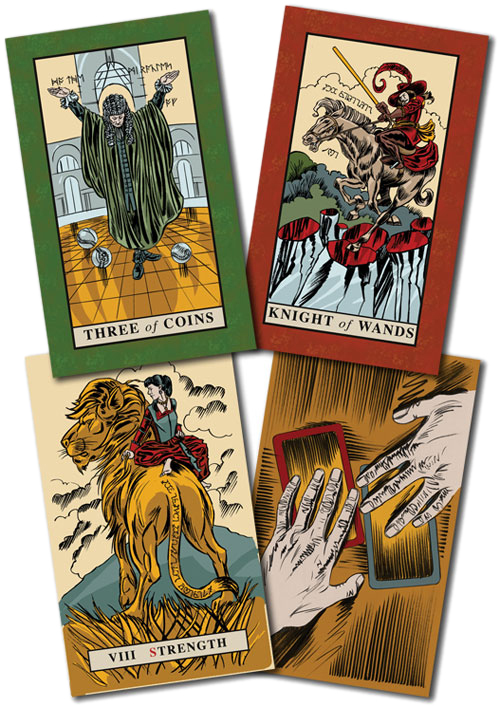 This new and entrancing tarot deck pulls you into the wonderfully mysterious world of English magic. Since ancient times, Britain has had a long tradition of great magicians, from Merlin to Harry Potter. 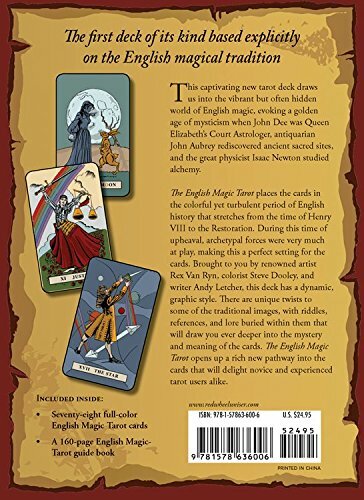 The English Magic Tarot evokes a golden age of mysticism when John Dee was Queen Elizabeth�s Court Astrologer, antiquarian John Aubrey rediscovered ancient sacred sites, and the great physicist Isaac Newton studied alchemy. 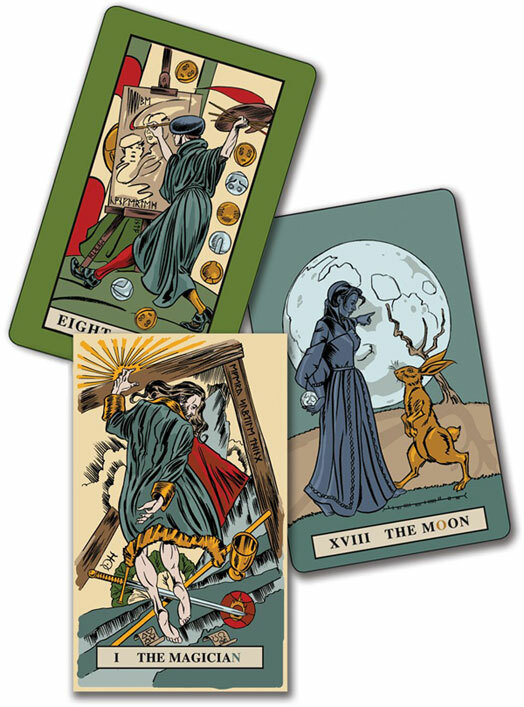 The cards of this tarot deck are set in the vibrant yet troubled period of English history spanning from the reign of Henry VIII to the Age of the Restoration. 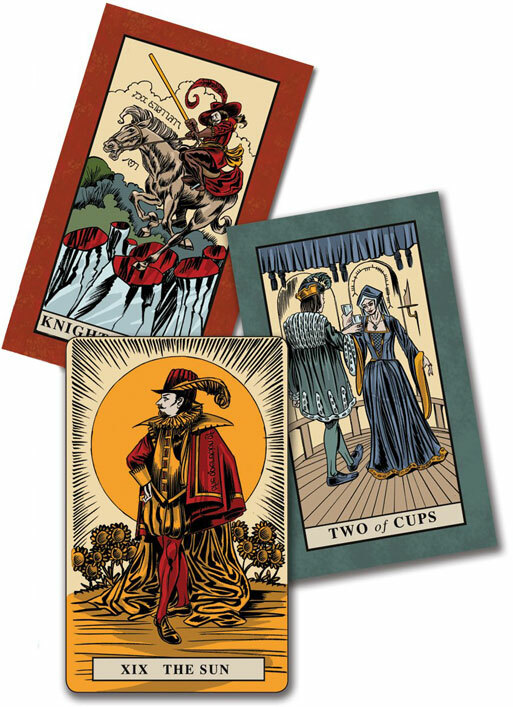 During this tumultuous time, powerful archetypal forces came to the forefront, making this a perfect setting for a deck of cards. 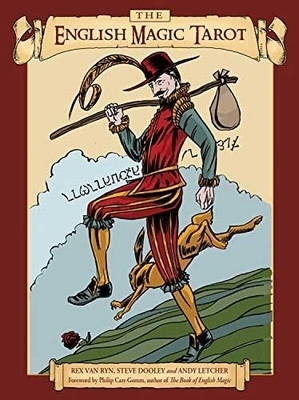 Illustrated by renowned artist Rex Van Ryn, with color added by Stephen Dooley, and written by Andy Letcher, this deck has a dynamic, graphic style. There are unique twists to some of the traditional images, with riddles, references, and lore buried within them that will draw users ever deeper into the mystery and meaning of the cards.